Denver, Colorado. May 19, 2014 – After completing a successful Mission Critical Design Review on Friday, Lockheed Martin and an international team will now begin building a new Mars lander. InSight team leaders presented mission-design results this week to a NASA review board, and the board then gave approval for advancing to the next stage of preparation. 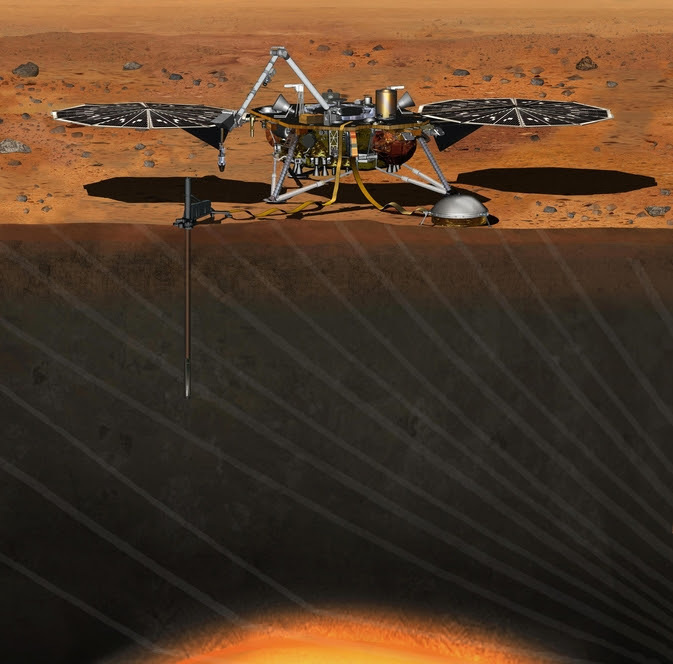 InSight adapts a Lockheed Martin spacecraft design from the successful NASA Phoenix Mars Lander, which examined ice and soil on far-northern Mars in 2008, but InSight will study a different aspect of planetary history with instruments never previously used on Mars. The mission will investigate how Earth and other rocky planets developed their layered inner structure of core, mantle and crust, and will gain information about those interior zones. InSight’s international science team is made up of researchers from Austria, Belgium, Canada, France, Germany, Japan, Poland, Spain, Switzerland, the United Kingdom and the United States. JPL, a division of the California Institute of Technology in Pasadena, manages InSight for NASA’s Science Mission Directorate, Washington. InSight is part of NASA’s Discovery Program of competitively selected missions. NASA’s Marshall Space Flight Center in Huntsville, Alabama, manages the Discovery Program. InSight will be the first interplanetary mission ever to launch from California. The mission will help inform the agency’s goal of sending a human mission to Mars in the 2030’s.